With the wonderful summer we are having, protecting our skin from the Sun has never been more important, to go with our range of Sunsense and Invisible Zinc sunblocks, we also have products for after we have been out in the sun. 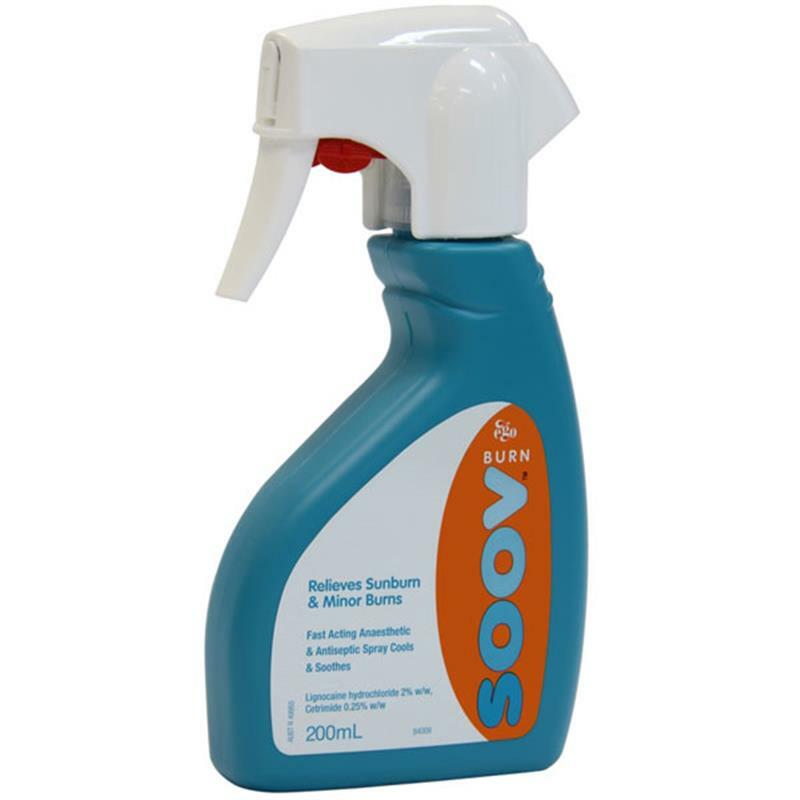 Ego, the people who make the excellent QV range and Sunsense, also make SOOV, and SOOV has a burn spray, so if we have been out too long and have been burnt a little, this spray is excellent. Soov Burn Spray not only cools the skin, but has an antiseptic and anaesthetic action as well to protect against skin infections and relieve some of the pain too.